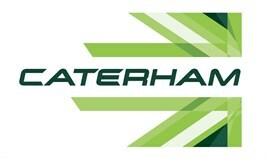 Caterham has revealed its new corporate identity ahead of launching new models in the UK market in early 2016. The rebrand will be applied across all arms of the group, including its F1 team and road car business. Caterham announced last year that it is working on ambitious plans to transform the company from niche track car brand into a much bigger business. The company is working on a sports car with Renault for the Alpine brand which is due on sale in 2016. Caterham is also developing mainstream crossovers and small cars, with the intention to also extend its ‘sporting heartbeat’ with a range of accessible sportscars for lifestyle buyers.